I did neither with a recent purchase of three lovely, deep red fruit. Yep. We call it vegetable but ‘maters are fruit. 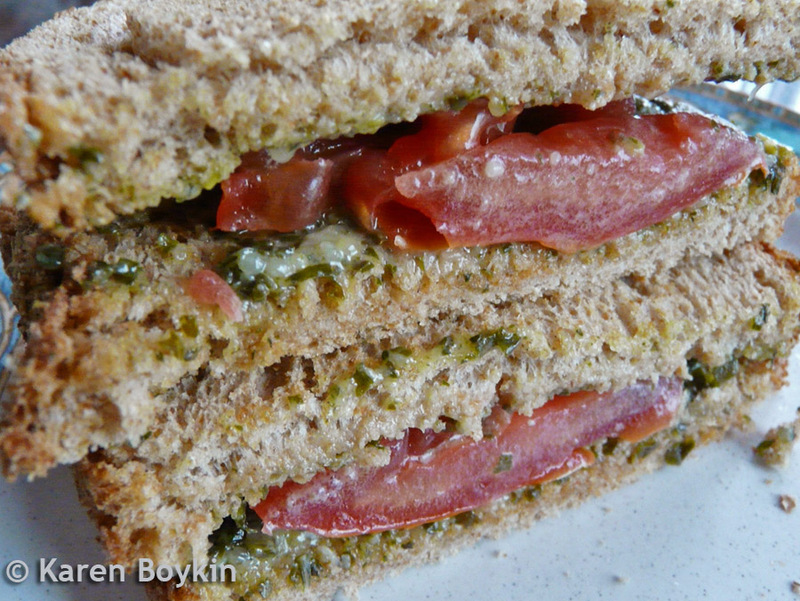 I sliced them up and stored them in the fridge for use in quick and easy sandwiches such as a grilled cheese or the simplicity of this tomato on whole wheat toast with basil pesto. It’s a filling and delicious Meatless Monday choice.